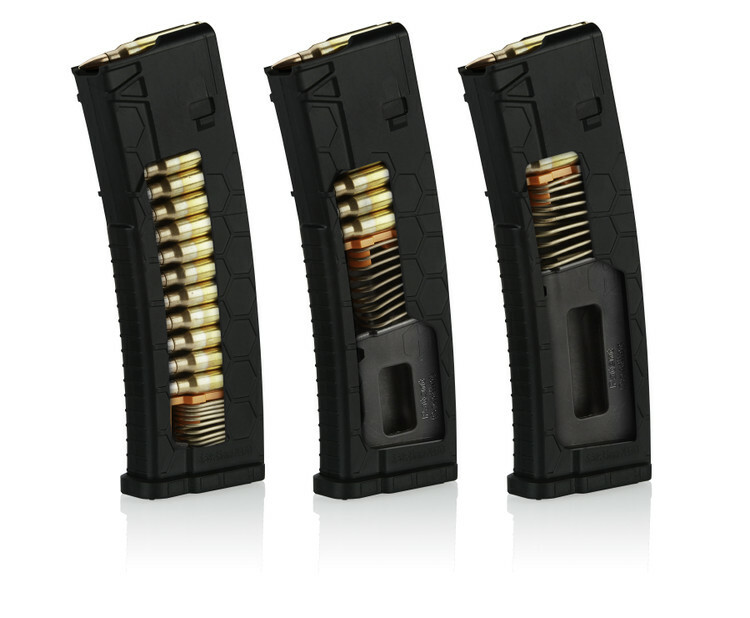 The True Riser system incorporates the patented riser design coupled with a custom spring assembly to retain SENTRY's unique tool-less design, allowing the magazine to be disassembled for easy cleaning and alterations to the HexID Color Identification System. Meanwhile, competing designs work opposite of SENTRY's True Riser design. While SENTRY's design pairs a shorter spring with the riser system to deliver a compliant magazine, competing magazines use a limiter to force the 30-round spring into a 10- or 15-round spring, putting unnecessary tension on the spring and hindering the length of time ammunition should be stored.